No matter how many times a Volkswagen bus travels, changes ownership, or transforms, it always seems to fulfill its original purpose – inspiring adventure and celebration with great people. 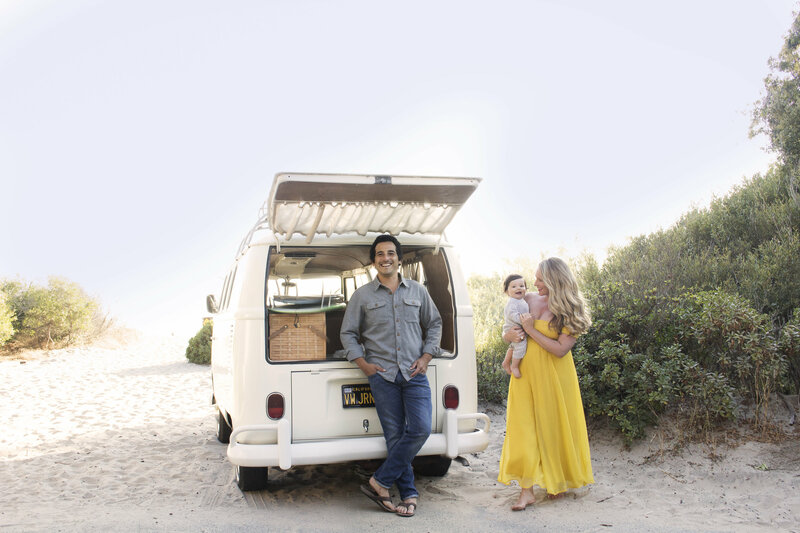 Anthony Alcala and his wife Jenna have taken the timeless culture of a VW bus to the next level by transforming their vintage camper van into a traveling photo booth and creating The Booth Bus in 2014. 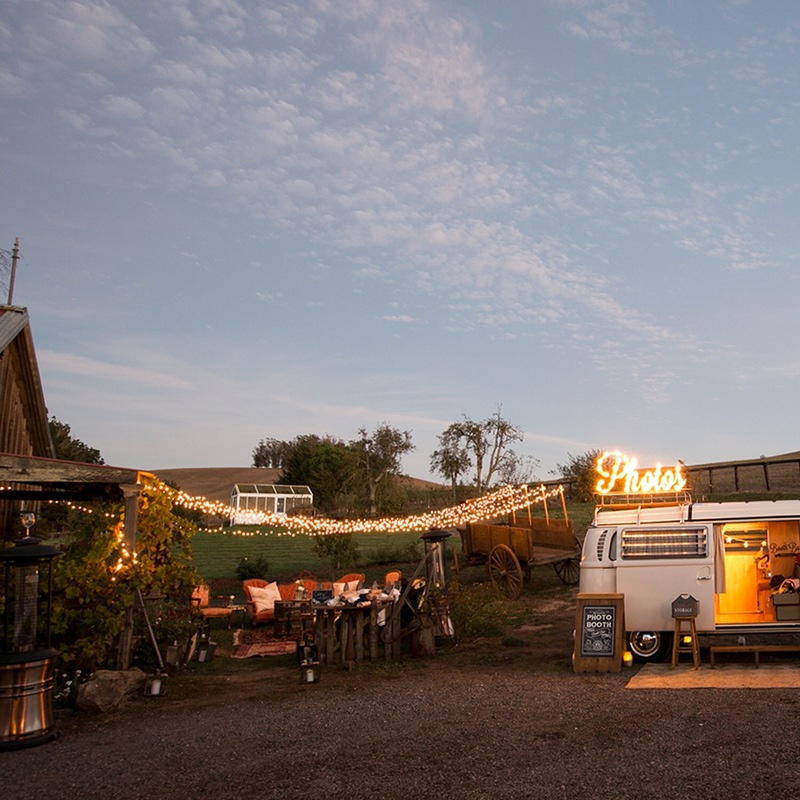 The business draws upon their friendly approach and appreciation for a classic California lifestyle – slow-paced road trips, surf treks, and starlit camping. 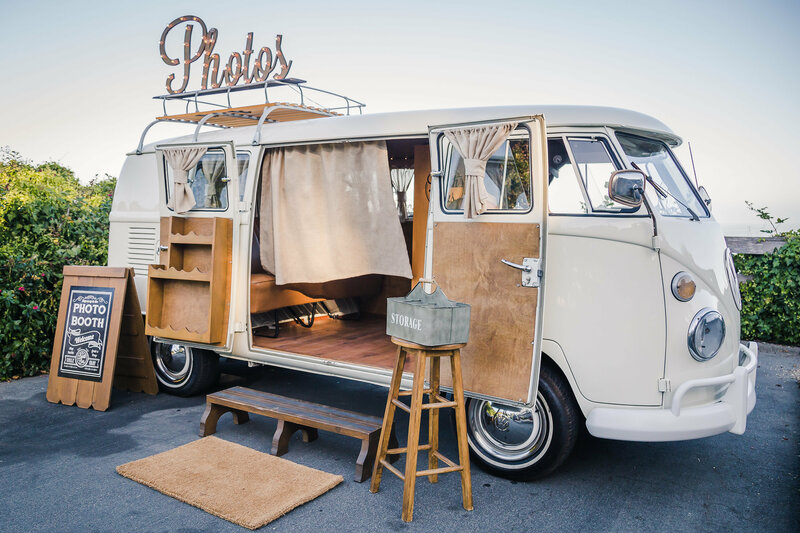 By incorporating a top notch photo booth into their old-school van, the Alcalas offer a picture-perfect blend of nostalgia and modernity that magnetizes people of all ages. The Booth Bus now features two beautifully enhanced buses – Georgia and Ginger, that travel locally and beyond, spreading joy and immortalizing good times wherever they roll as only VW’s can do. 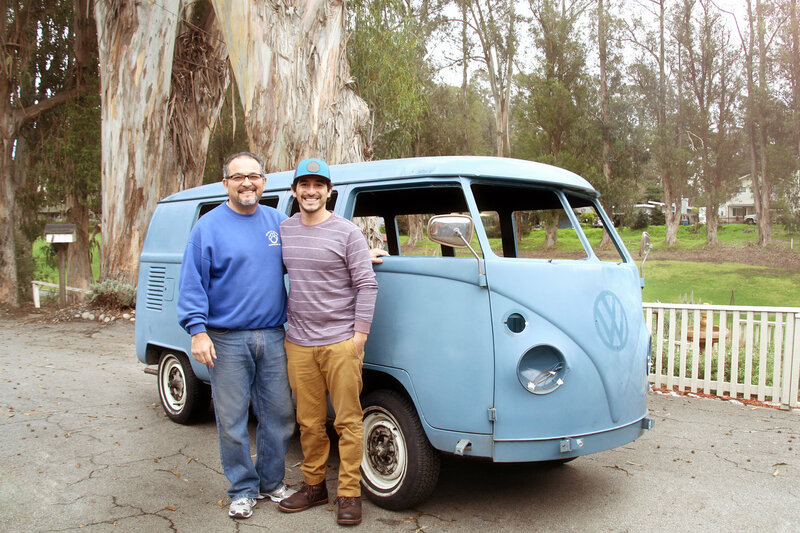 Read on for an interview with Anthony to hear about creating a business with vintage VW buses and experiencing “Life in the Right Lane”. What inspired you to launch the Booth Bus? Launching The Booth Bus was created by a series of coincidences that collided together. I’ve always been attracted to vintage vehicles and wanted to own a mid 60’s or 70′ VW Bus. I was in my mid thirties and never made the leap to purchase one. I was attracted to their stylish look and the allure of owning a vehicle that was designed specifically for travel and adventure had always sparked my interest. My wife Jenna and life travel partner encouraged me to buy one before it was too late (kids, mortgages, etc). After purchasing our bus Georgia, we began using it for camping and going on local expeditions. VW buses are slow moving vehicles so using them requires a more zen-like approach to traveling than one is accustomed to in a modern car. A VW Bus is air-cooled, meaning they are cooled-off by the air passing-by as you drive along the road. This engineering aspect requires a slower approach to travel, sometimes you have to pull over and let the bus cool after climbing a big hill. It’s a forced chill-out and we loved it. It was more adventurous and required a slower operating speed when going somewhere. There’s a beauty to operating slower, you discover more time to think, notice things that were easily overlooked once beforehand. We call it Life In The Right Lane. This new slowing-down became a catalyst that fueled a deeper desire to do something more artistic and upbeat with my career. One day while my wife and I were driving home from a Southern California road trip in the bus, we had an ah-hah moment. We had been kicking around ideas and dreaming out-loud on how we could share the sense of adventure and state-of-mind that comes with driving and owning a VW bus. 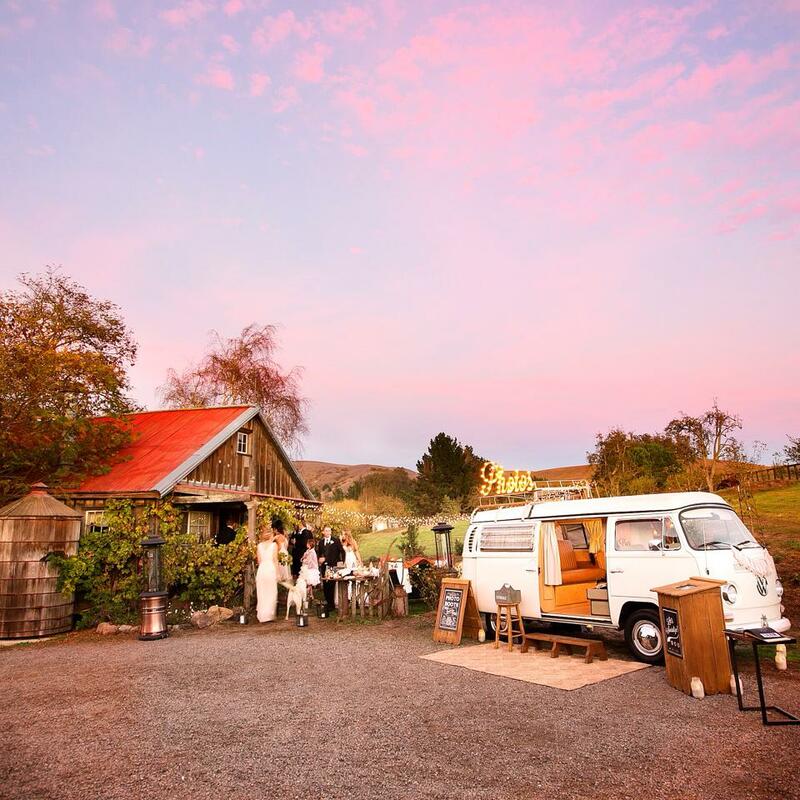 And then it hit us – how about a photo booth bus? We have always loved photography and particularly photo booths. They’re a fun medium that evokes silliness, light-heartedness, and are memory creators. 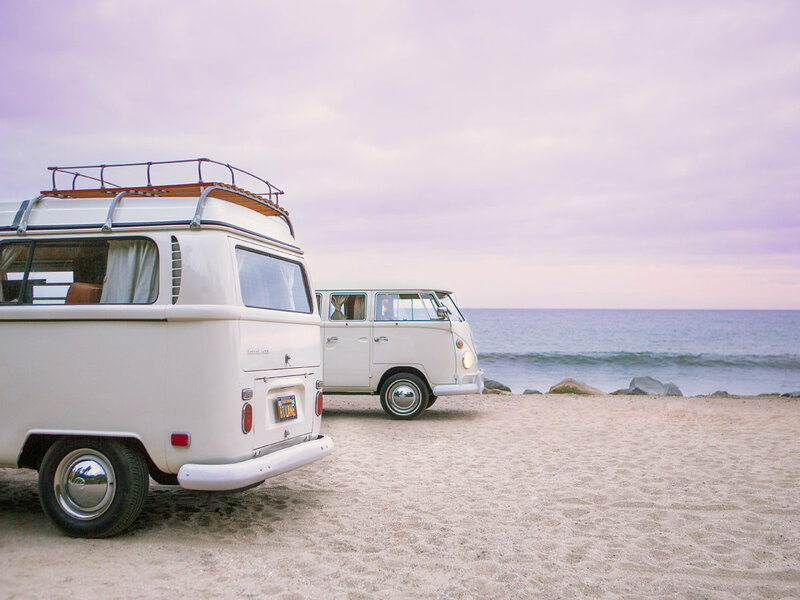 Similarly, a VW bus is a relic of a past-time when society operated slower, a metaphor for charting new paths, travel, free love, and adventure. Tell us the story behind your two buses – Georgia and Ginger? Georgia is a 1970 Westfalia Camper and we purchased her from a family in Laguna Beach. Georgia was manufactured in Germany of course but was initially imported and lived most of her life in the state of Georgia during the 70’s by her first owner and eventually made her way to Southern California. Jenna’s grandmother was named Georgia. She was a classic glamorous 1950’s beauty. Impressed with the bus’ beauty, we decided to name our bus Georgia for her stateside roots and in honor of Jenna’s grandmother. We are also the proud owners of Ginger, a 1966 Split Window Kombi. We purchased her in Lomita from the original owner named Tony. He was a real salt-of-the-earth type of fellow and actually used to work at the Long Beach Harbor off-loading VW buses being imported directly from Germany. Tony took meticulous care of Ginger and she was his primary vehicle for many years. He traveled up and down the west coast with Ginger, including long road trips to Mexico and Canada. We have taken many camping trips, road trips, and day trips with both of our buses. We’ve only stayed in California with our gals and our most favorite trips are the 2-3 day camping, surf excursions in Big Sur. What do you like about these particular models – what makes them so classic and fun for people? In my humble opinion, the Camper is the ultimate VW Bus model. Georgia is a Westfalia camper. There was other types of camper models manufactured such as the Rivera and the Sundial. However, the Westfalia model became the most popular camper kit style and and the name Westfalia commonly represents any type of VW Bus camper. 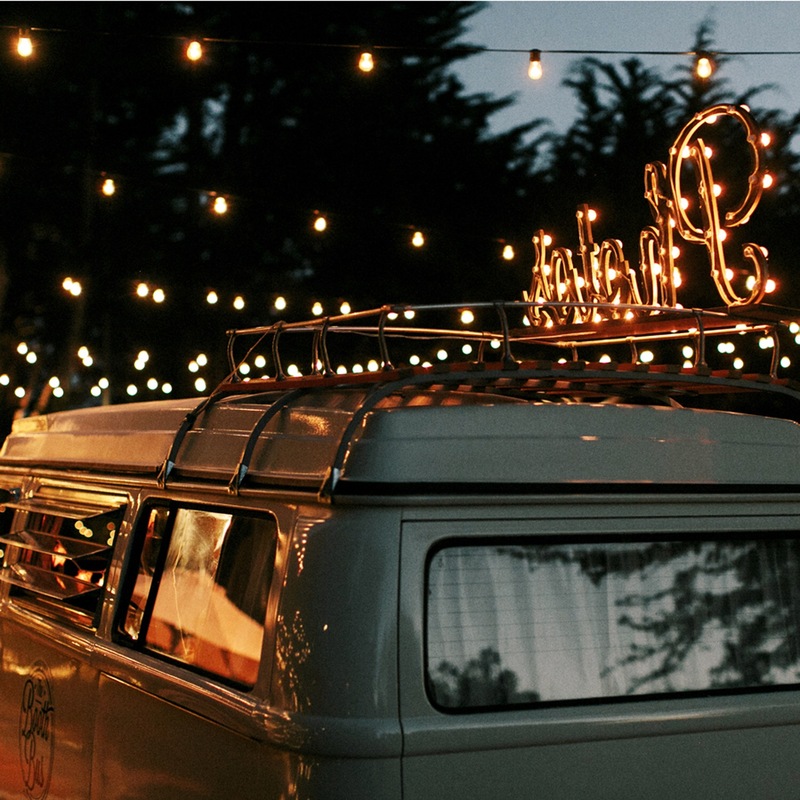 From our experience, people who grew-up in and around VW buses, camping and spending time outdoors is the most common nostalgic memory that makes people smile and reminds them of the good times spent with their loved ones. Our other Bus Ginger is a Kombi. The Kombi model is a basic VW Bus, a passenger van without the camper kit inside. This model type also brings back many memories for folks. Not so much for the camping stories but reminds people of the long road-trips with friends, the family outings, and the endless customizing that people did with VW buses. The Kombi is easy to personalize. The middle and back seats are easy to remove and voila, you have a big open cabin to customize to your liking. 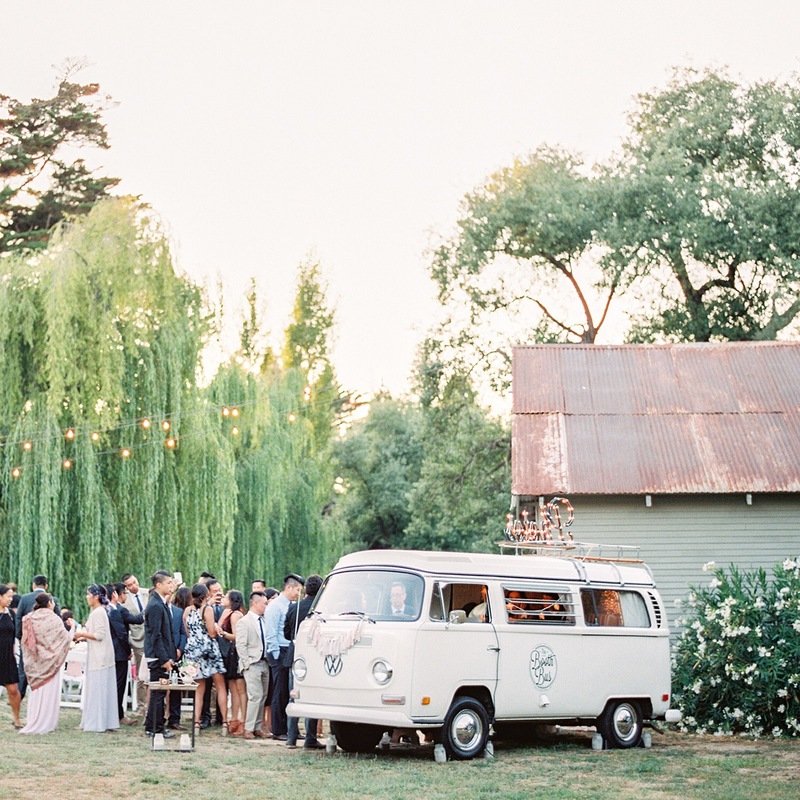 How did you renovate the van from camper to photo booth? Turning the bus into a photo booth proved harder than we had initially thought and it took way longer than we anticipated. As a classic car enthusiast, I love keeping things stock if and when possible. So our goal from the outset was to minimize altering the bus if at all possible. With that in mind, we were able to engineer our photo booth setup so that it is completely removable without disrupting the interior or exterior of the buses. Our photo booth kiosk is hand-crafted and custom made out of wood, we have professional lighting inside the bus to ensure we capture gorgeous imagery and state of the art technology operate the booth. What has been one of your most epic events with the Booth Bus?